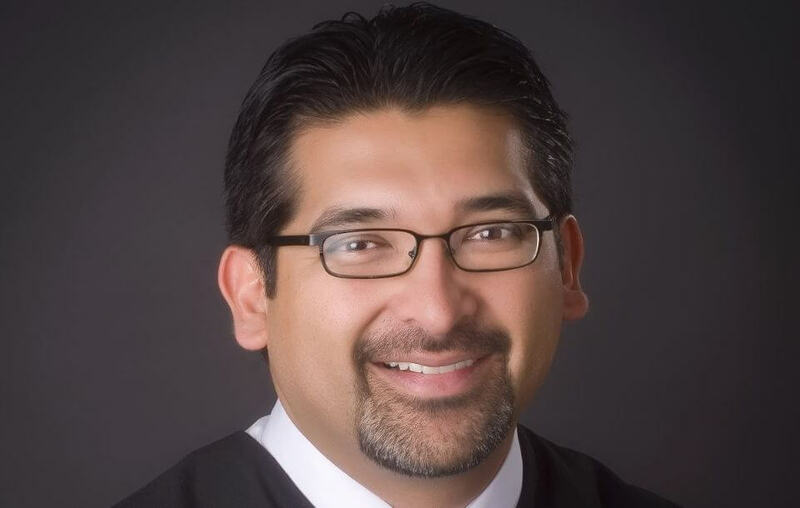 An Interview with Judge Roberto Cañas, Jr.
Attorney at Law Magazine Dallas Publisher PJ Hines sat down with Judge Roberto Cañas Jr to discuss his style in the courtroom and how he is involved in the community. 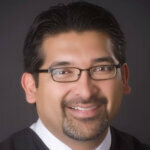 Cañas: I am the judge of County Criminal Court #10 and I have been a judge for almost nine years. My court handles only domestic violence cases. In 2013, the U.S. Department of Justice named my court a Domestic Violence Mentor court, one of only six in the nation. This means that my court exhibits best practices for handling these types of cases. I am also on the faculty of the National Judicial Institute on Domestic Violence and train judges around the county on domestic violence issues. I am very proud of these accomplishments. Cañas: I try to create a laid-back atmosphere that is welcoming to litigants, attorneys and court personnel. When I am not in a jury trial, I do not require a great deal of formality from those in the courtroom. I prefer that my courtroom be an effective workplace for prosecutors and defense counsel. However, when I am in a jury trial I expect the attorneys and litigants to be very formal and respectful of the jury and respectful of the jury’s need to work in the courtroom. 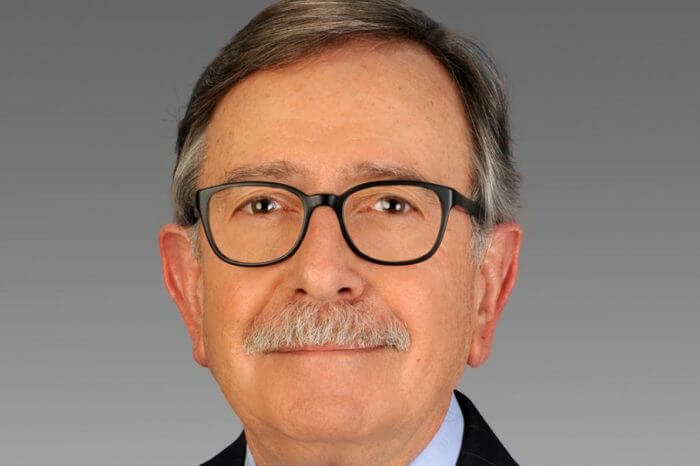 Cañas: My best piece of advice for attorneys is not to fall into the trap of thinking that domestic violence assault trials are about who was the bad partner in the relationship. I think when litigants come to court they believe they will be able to tell the jury everything that the other person did wrong in the relationship. Some litigants are successful convincing the attorneys trying the case to focus on these issues instead of the issues related to the assault. The issues related to the assault typically revolve around 404 relevance, impeachment, hearsay, self-defense and Sixth Amendment issues. Attorneys need to be intimately familiar with these issues and less concerned about the peripheral issues the litigants want to talk about. Cañas: In college, I majored in music and I had dreams of becoming a composer in the film industry. Long story short, I graduated with a music degree and with a deeper appreciation of the level of dedication a professional musician needs to be successful. My love for making music was strong, but not that strong. My uncle, who is a lawyer, exposed me to the practice of law. I quickly realized that the law appealed to my ability to think logically and to my love of learning. So I took the LSAT, scored well and the rest is history. Cañas: People often ask me how I can handle domestic violence cases every day. I approach the cases intellectually and analytically instead of emotionally. Domestic violence cases are counterintuitive with serious safety considerations. The decisions that I make can have consequences for an entire family, not just the defendant and the complainant. Thus, by keeping a clear mind, unclouded by emotion, I can focus on the real issues and make the best decisions under the circumstances for the complainant, the defendant and their family. Cañas: I am excited about the new ways technology and science are affecting how criminal cases are investigated and prosecuted. For example, body cameras on police officers are revolutionizing domestic violence cases. While assaults will still rarely be caught on camera, the immediate aftereffects of an assault can be captured. Raw emotions and fresh injuries are powerful pieces of information rarely available to judges and juries and could possibly become decisive in future cases. Cañas: The recent incidents of excessive force by police officers against people of color have eroded trust in the system which is frustrating for everybody. Now, as always, judges need to be vigilant against injustices; prosecutors need to be ethical, and defense attorneys need to be diligent. I believe those communities, my community, need to see concrete actions of change in the near future in order to restore trust. Cañas: I have two children under the age of seven, a son and a daughter. I am grateful that my job allows me to be home for dinner most nights and to be active in their lives. In addition to my kids, I spend my free time researching my family history. My father’s family has been in Texas since the 1850s. I can trace my mother’s family back to the first Spanish families who settled the Rio Grande Valley in the mid-eighteenth century. The exploration of my family history has been personally satisfying and it has opened my eyes to aspects of history that I never before found interesting. I have connected with distant cousins and I have also discovered that I could be the heir to some unclaimed oil and gas proceeds being held by the state of Texas. Cañas: Currently, I am a member of the city of Dallas’ Executive Task Force on Domestic Violence. Our goal is to review how the criminal justice system handles domestic violence cases from dispatch to disposition. I also serve on several committees for the Dallas and state bar associations. In the past, I sat on the Dallas Animal Shelter Commission and on the boards of several nonprofits such as Operation Kindness and Family Compass. My work on animal welfare issues has been particularly rewarding. I have a special place in my heart for homeless dogs and cats. AALM: Tell us a story from your days as a practitioner. Cañas: As a felony prosecutor, you help victims who have had horrible things done to them or their families. It is the prosecutor’s job to guide them through the process and, if possible, achieve justice for them. Sometimes victims want to show their appreciation through gifts. So, after I had won a guilty verdict in a murder case, the victim’s father was so appreciative that he cooked a large barbecue meal for me and my colleagues and surprised us at the courthouse. We graciously accepted the food; it was delicious.